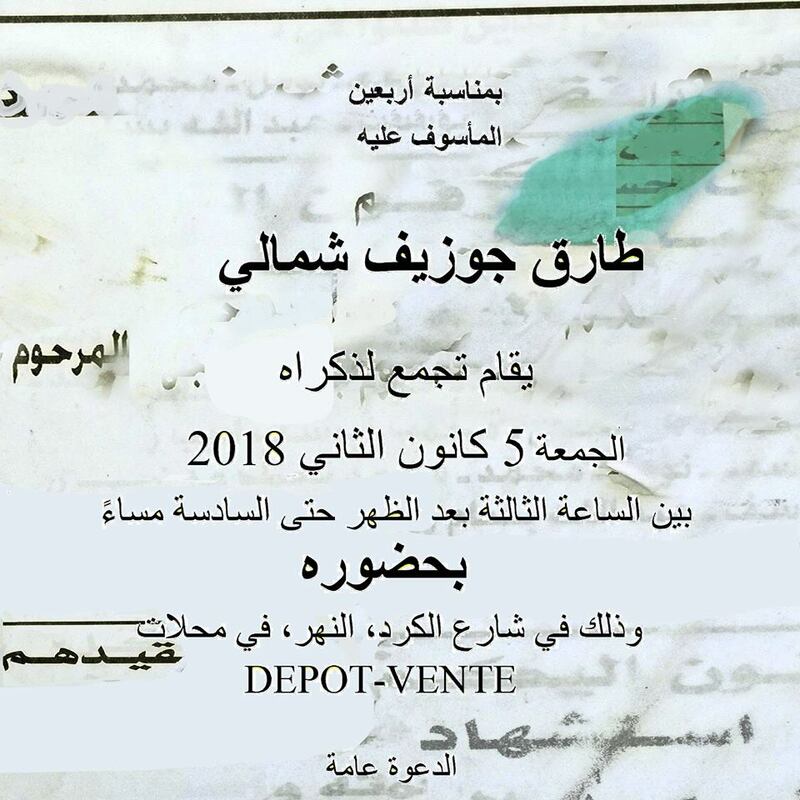 You are cordially invited to the opening of my installation "Jenez el Arb3in", the traditional mass held for the souls of the dead 40 days after their passing which will take place on January 5th at the Depot-Vente stores between 3 and 6 P.M. The installation will question identity, how we portray ourselves to society via fashion, colors and shapes and asks if we actually change as much as we think we do. 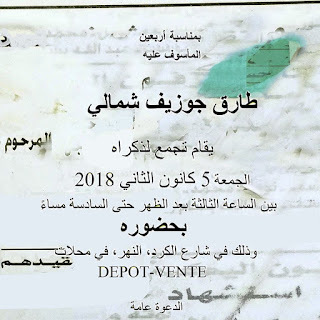 For directions: At the end of Mar Mikhael el Nahr, towards Burj Hamoud, turn right in between Mandaloun and the Bank of Beirut, then take the second on your left, at the intersection you will find a garage called Auto Clinic. The installation will be at a few shops to the right of Auto Clinic (the one with the green door). The installation will be in place until January 21st. This is an open invite, please come and help me rest in peace.